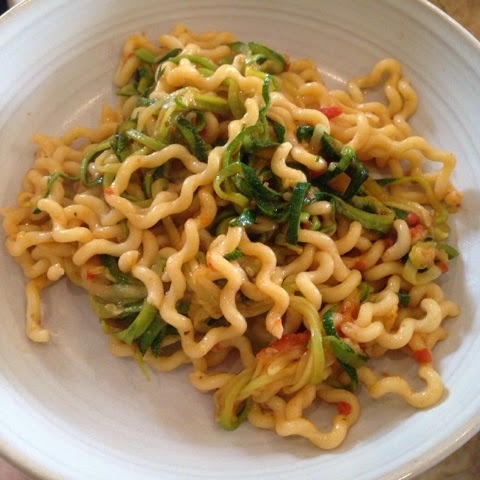 I'm still reducing waste where I can and trying to up fresh produce before it goes off, Saturday night I roasted up some leftover butternut squash for my risotto and Sunday I spiralled a courgette to mix with pasta for our lunch. We managed to use up all our bread this week and nothing else has needed to be thrown away. 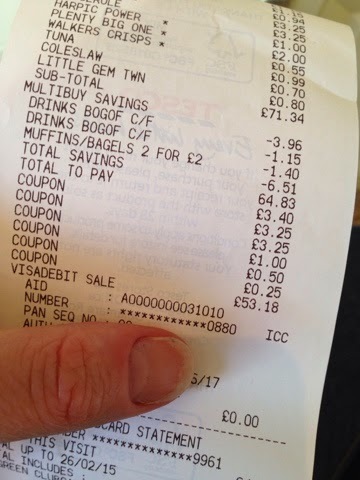 This week I want to tell you a bit about couponing, I used to coupon regularly when I was on maternity leave, but since then I've not bothered, but in the past 2 weeks I'm hooked again! 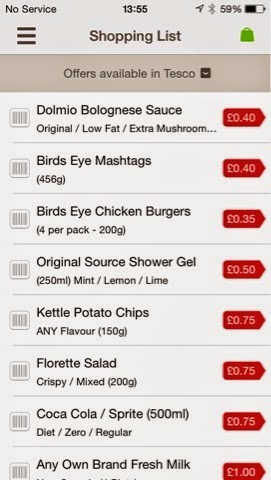 The £3.25 were for Little dish ready meals for children, you can print yours here, it doesn't say on this link but I'm sure they are valid until 20 March 2015. The £3.40 voucher was from Tesco orchard, and I managed to get 2 bags of finest pasta for free, I used this pasta for the dish in the picture above. I've still got a long way to go on actual coupons as there are so many websites, but that will be one of the next things I do! 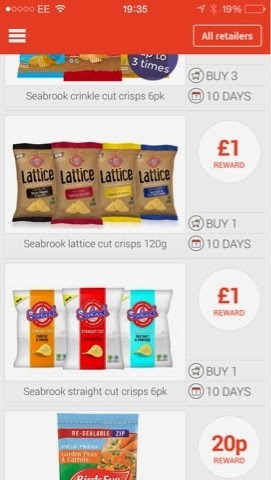 I have found 2 really great cashback apps for groceries, the first is Shopitize here you can select which supermarket you are shopping in and which offers they have, a couple of really good offers I used were for the Milk, which was free and for the sprite, they were 2 for £1.20 in Tesco so with 75p off they were 45p for 2, great for packed lunch! 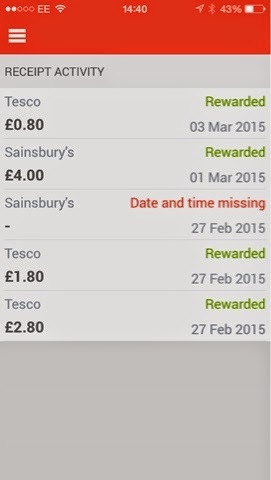 In 1 weekend I made £4.25 cashback on this app. 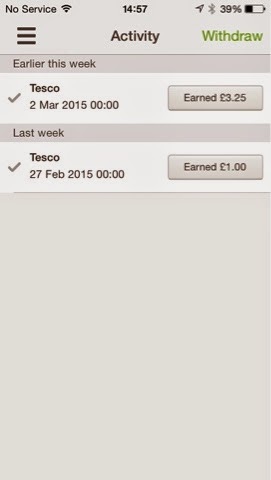 In one weekend I've made £9.40 on this app. I've also started following some facebook pages which have been useful for coupons and deals. 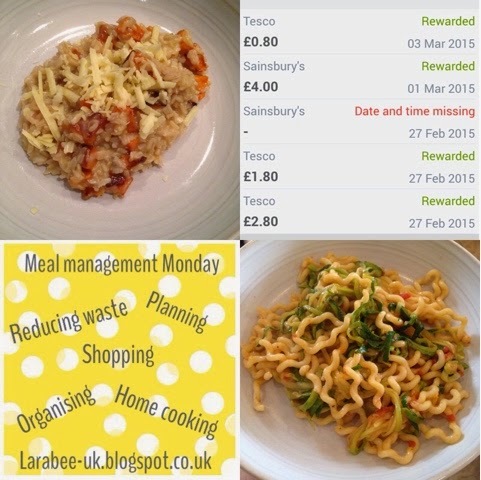 So you can see how I managed to save a few pounds on my last 'big shop' I haven't got a meal plan this week yet as The Hubs is off to the Doctors today so our meals will probably be determined by what changes the Doctor says he needs to make. I hope that you found this helpful, I'd love to hear your money saving tips and coupon recommendations. I'd also love to hear if you manage to save lots of money everyweek! Next week I'm talking stockpiling!